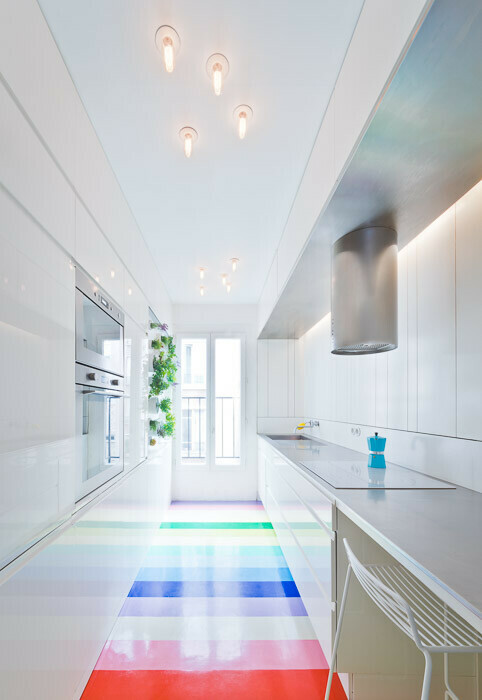 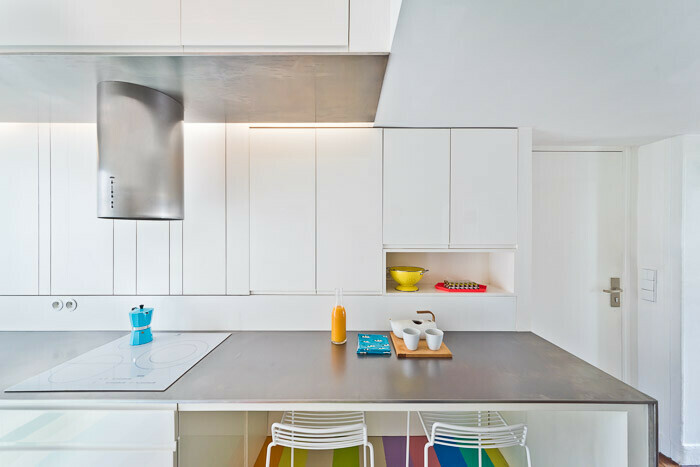 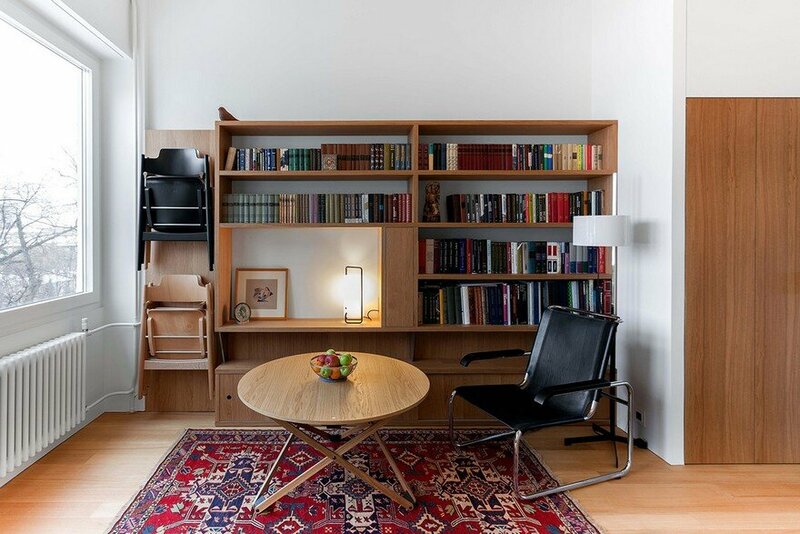 SABO Project recently completed this modern Parisian apartment. 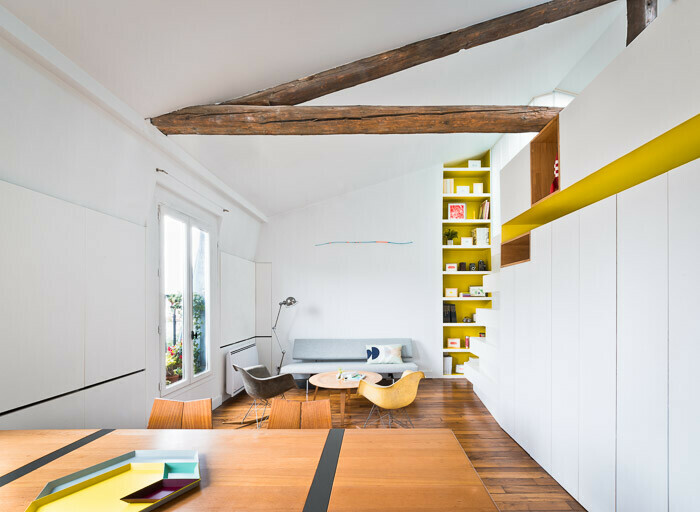 The property has an area of 72 square meters and is located in Montmartre, Paris. 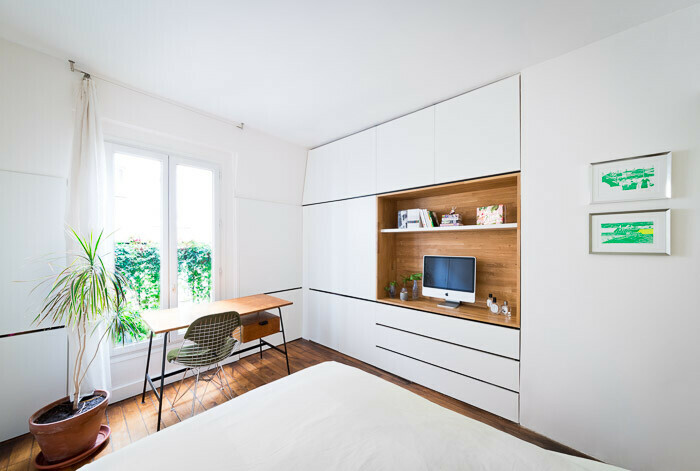 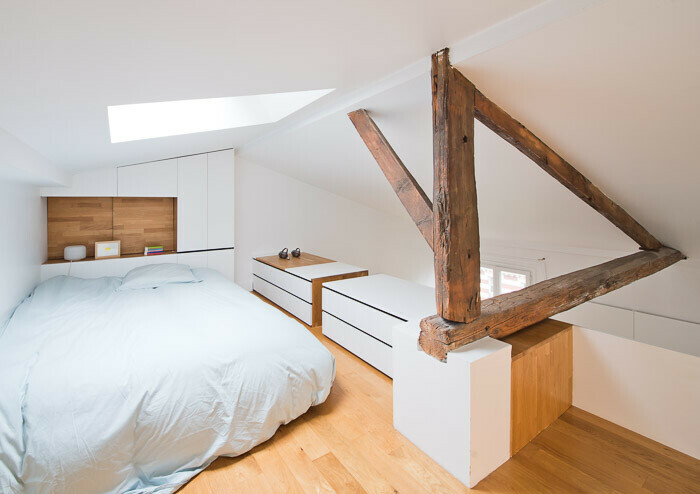 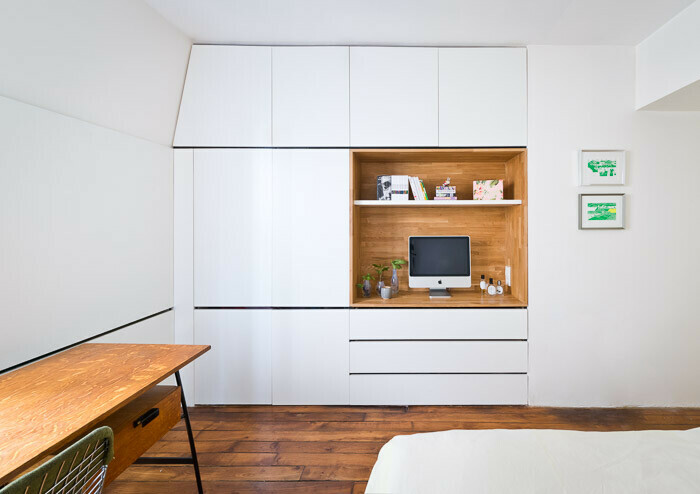 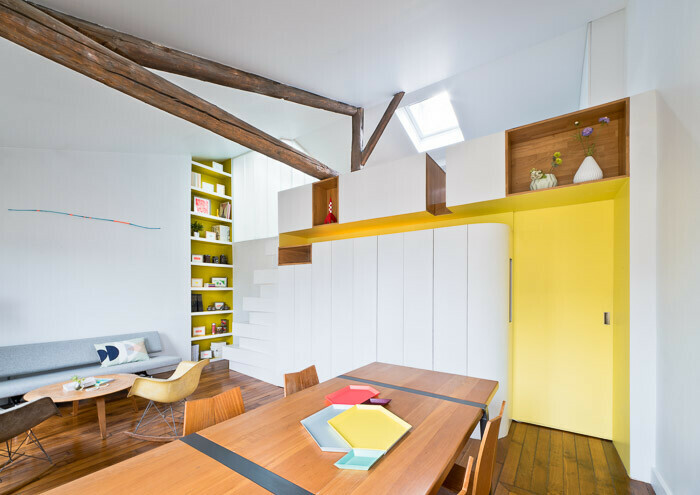 Description by SABO Project: SABO was invited to rethink the Paris apartment of a young fashion designer looking to maximize her space. 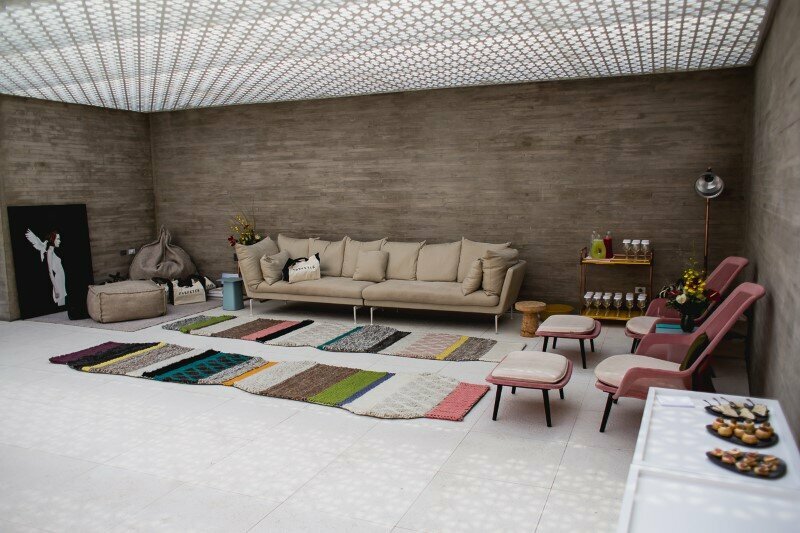 The design consist of several partition removals and the insertion of a multi function thick wall acting as stair, office, display, closet, fabric storage, natural and artificial light source or sliding partitioning. 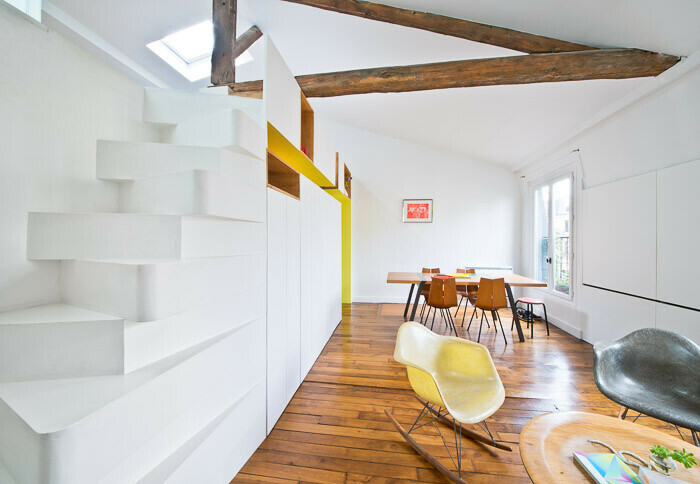 The porous furniture allows for natural light to reach a central corridor as well as framing views between the new bedroom and the living room.The swaying steps of an alternate tread stair celebrates the surrounding hills and climbing culture of Montmartre. 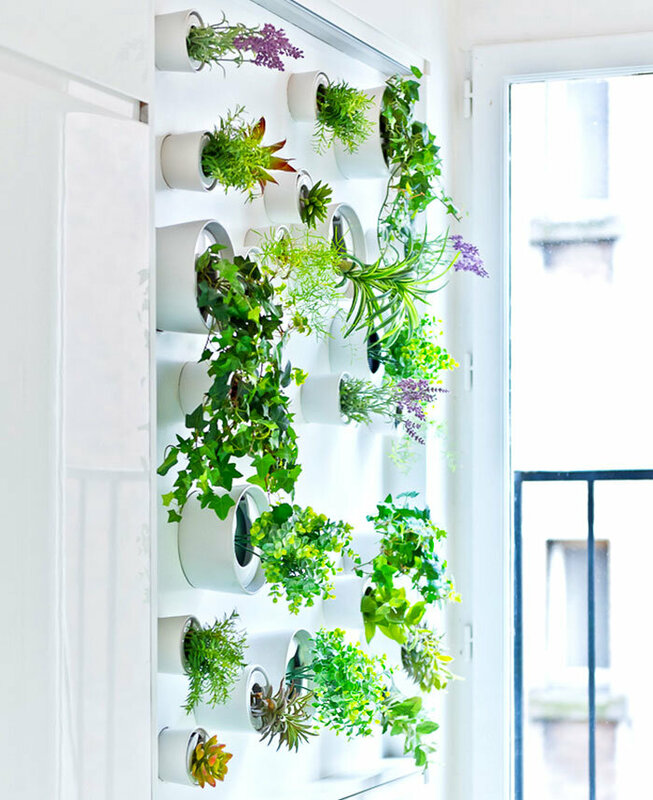 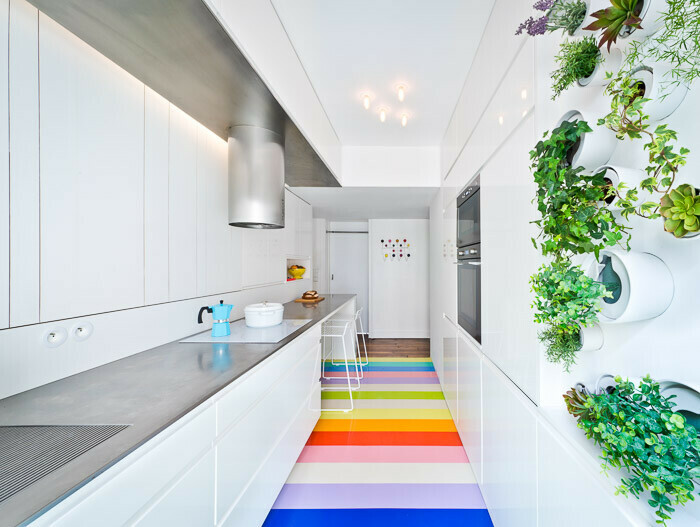 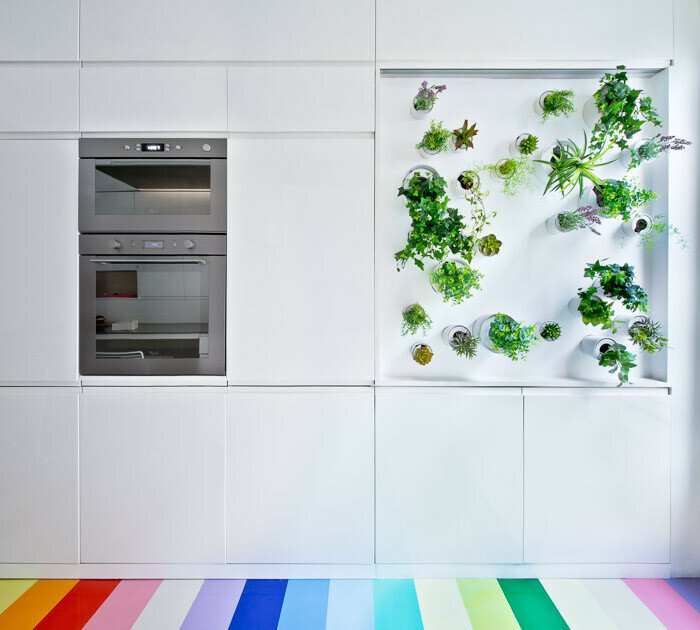 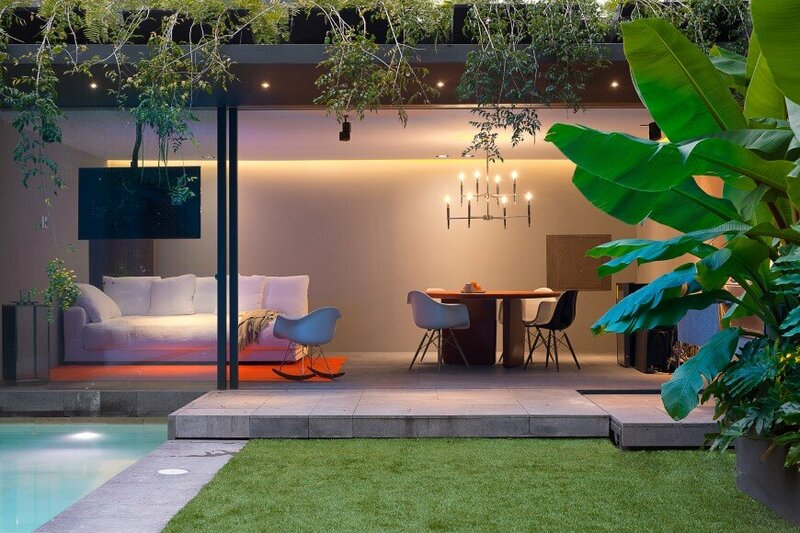 In the kitchen, a mini vertical garden provides fresh aromatic herbs thanks to a mix of direct sun exposure and specialized artificial lighting. 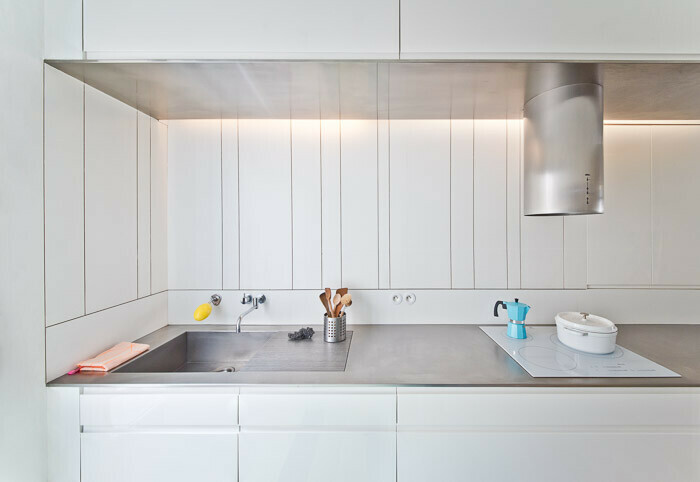 A steel countertop with custom integrated drainer is welded in place to stretch over 15 foot seamlessly. 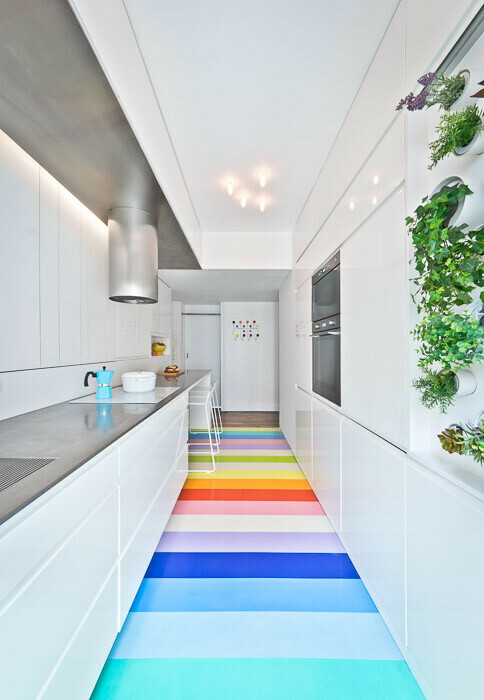 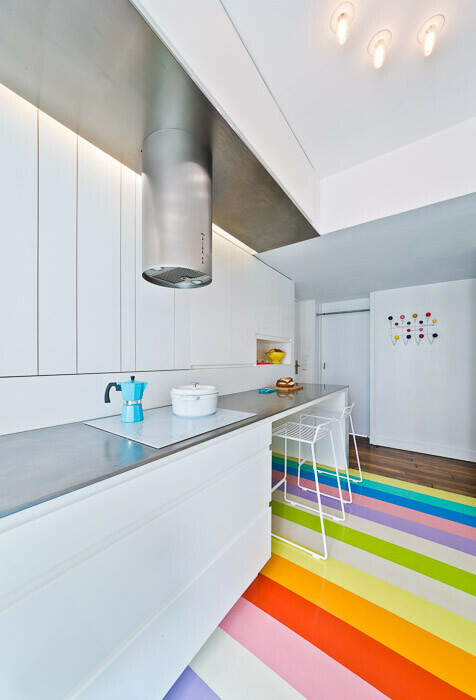 In contrast is a whimsy floor composed of a 25 natural rubber strips of 14 different colors.